The incubator will open four locations across the southern region with help from its new partners. 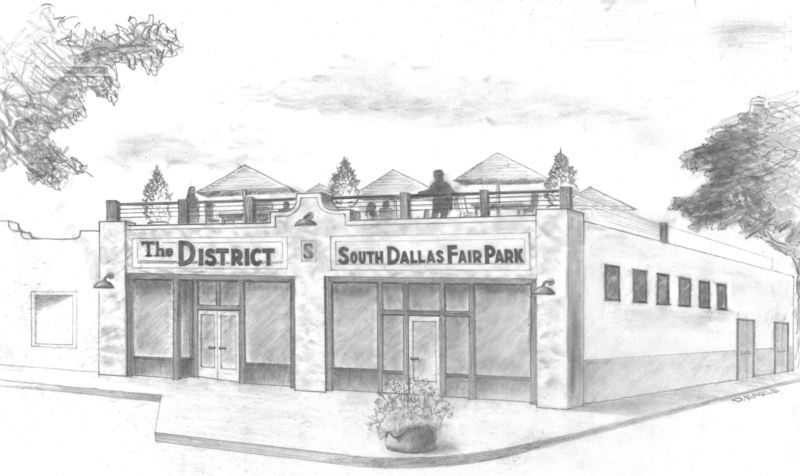 The District, a Dallas Entrepreneur Center franchise location, will provide an incubator to the Fair Park area. The Dallas Entrepreneur Center is expanding into South Dallas, reaching a new demographic of entrepreneurs as it opens four locations. The center, which already has locations in Addison, Denton, San Antonio, and the West End, will have new centers at Southwest Center Mall, formerly known as Red Bird Mall, and in the Fair Park area. It also will open satellite locations at the University of North Texas at Dallas and another at Paul Quinn College. The Red Bird Mall Entrepreneur Center and The Fair Park District Entrepreneur Center are expected to open in April, and the two satellite locations are scheduled for fall openings. The new southern region, called the Southern Dallas Entrepreneur Network, will be led by executive director Michelle Williams, president of the Dallas-Fort Worth Urban League Young Professionals and a former director of the Dallas nonprofit Leadership ISD. Williams will be based out of the Red Bird Mall Entrepreneur Center. The Red Bird Mall Entrepreneur Center will be the largest of the new locations, occupying 7,500 to 10,000 square feet when the mixed-use development is redeveloped in the next few years. It will initially open in a smaller space in an adjacent building off Westmoreland. The mall, which opened in 1975, unveiled redevelopment plans on Saturday that include a Marriott Courtyard, office space, parks, and apartments. The DEC will help fill the need for a local incubator—a request made by the community, said Peter Brodsky, who bought a large portion of the mall in September. The announcement came shortly after Southwest Center Mall was identified as one of the locations where a Macy’s would close. That means redeveloping the shopping center into a mixed-use development, replacing big box anchors with other attractions that will support the community like the DEC, he explained. While there’s no definite timeline on the completion of the redevelopment, Brodsky expects to begin within the year. The Red Bird Mall Entrepreneur Center will function much like the DEC in the West End. It will be led by a regional director—in this case Williams—who will oversee programming and services. 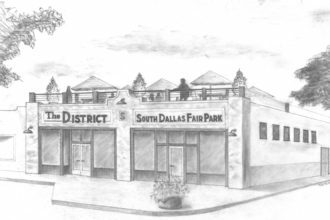 The new Fair Park location, called The Fair Park District Entrepreneur Center, will function under the franchise model, similar to that of the San Antonio Entrepreneur Center. The District, for short, will occupy 5,000 square feet of space at the corner of Martin Luther King Jr. and Malcolm X boulevards, a location that was chosen to serve as a symbol of racial equality and interfaith collaboration. The District will receive a blueprint for the center from the DEC and will run independently. The District is the result of a partnership between the DEC and The ZIP Code Connection, a project led by the North Texas Conference of the United Methodist Church to eradicate poverty in South Dallas and East Texas. The District is being funded by The ZIP Code Connection, which is supported by churches within its network. The DEC’s two satellite locations will provide students and faculty at Paul Quinn and UNTD with the opportunity to engage in entrepreneurial activities. South Dallas has long been a priority for Dallas Mayor Mike Rawlings, who launched the Grow South initiative in 2011 to jump-start economic development in South Dallas, a lower-income area. While the new locations represent a huge step in growth for the DEC, they’re not the last, said Bowles. The DEC has other partners and deals in the pipeline that he expects to announce soon. The DEC will provide further information on the Dallas startup community at its State of Entrepreneurship presentation during Dallas Startup Week in April.